Alicia Contreras was born in San Bernardino, California, the daughter of first generation Mexican-American parents. Her family later moved to Arizona in 1996. During her studies at Arizona State University, she discovered her love and passion for Social Work in particularly empowering youth while volunteering for local non-profits. Agitated and inspired after witnessing injustice on immigrant families and a personal experience of racial profiling by the Maricopa County Sherriff Office in 2009, she focused on advocating for change. In 2010, the divisive and hateful legislation of SB 1070 which targeted immigrants set her on the path she’s on today. She received her Board of Immigrations Appeals (BIA) as an accredited representative in 2016 and is dedicated to helping fix our broken immigration system. 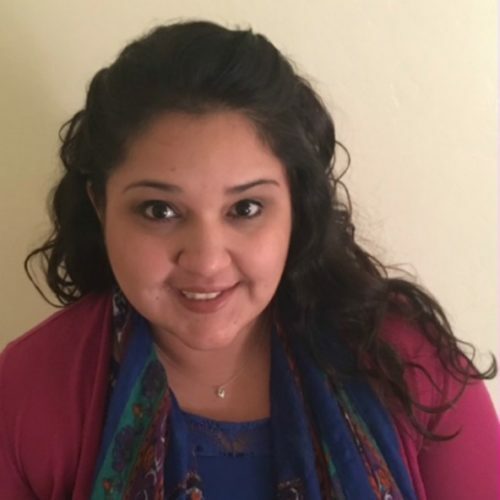 Alicia comes to Mi Familia Vota with experience in social service, advocacy, organizing and community education. She facilitates trainings focused on personal narratives (Story of Self, Us and Now), volunteer team building (Movement Building Model) and voter registration. Alicia is extremely committed to engaging and empowering youth leaders within the community while building teams for civic engagement. In her spare time she loves spending time with family, traveling and being outdoors.